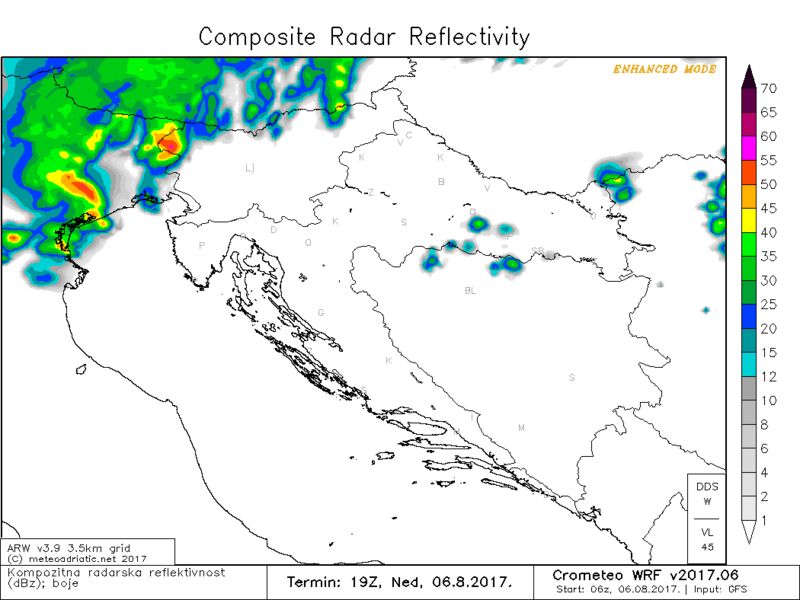 Severe Tramontana winds are expected later today across the northern Adriatic region with the cold front passage. 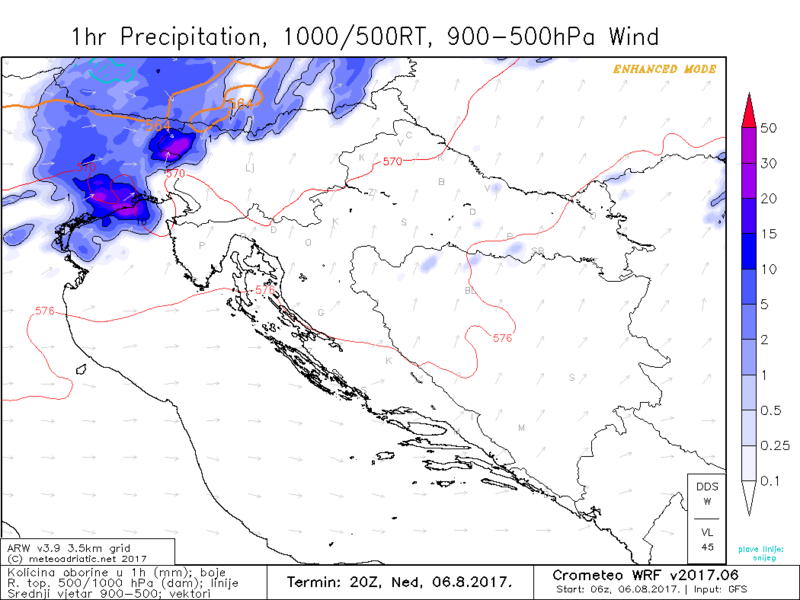 Most models agree on a strong push of Tramontana winds across the Friuli and Veneto plains in Italy into the northern Adriatic. 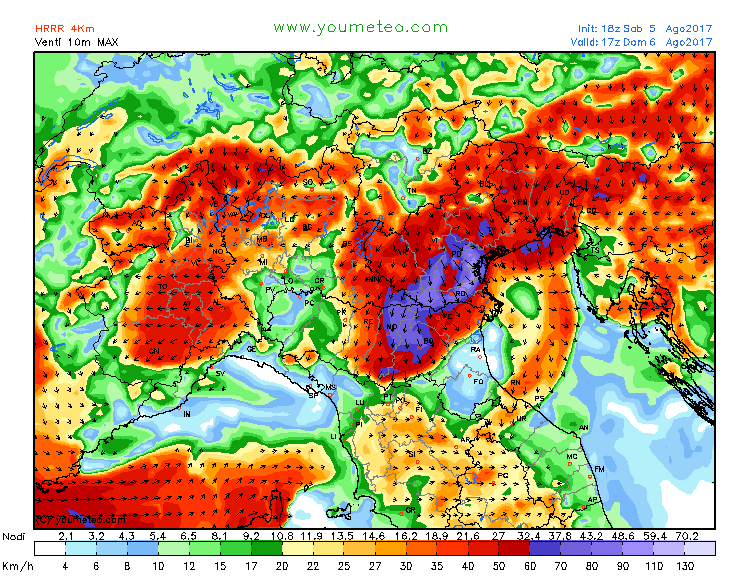 Peak wind gusts may reach 100-135 km/h! 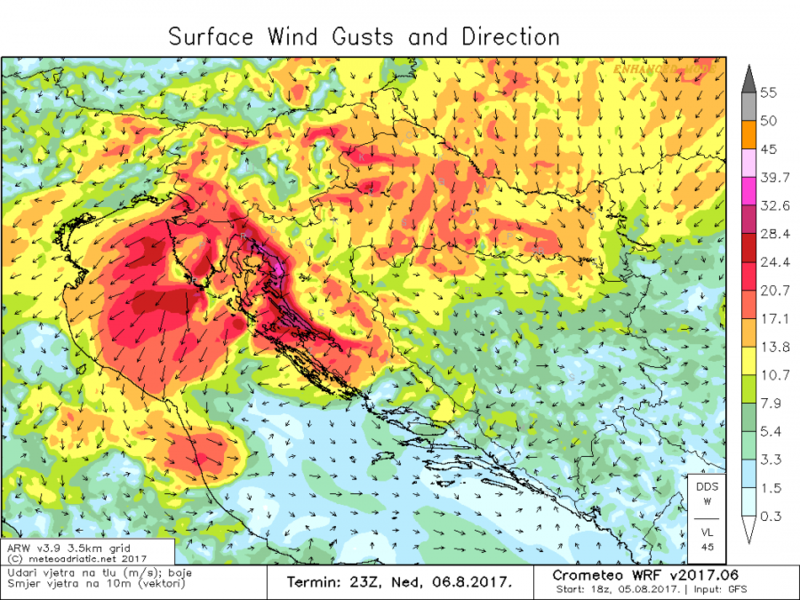 There is significant damage potential with this event. 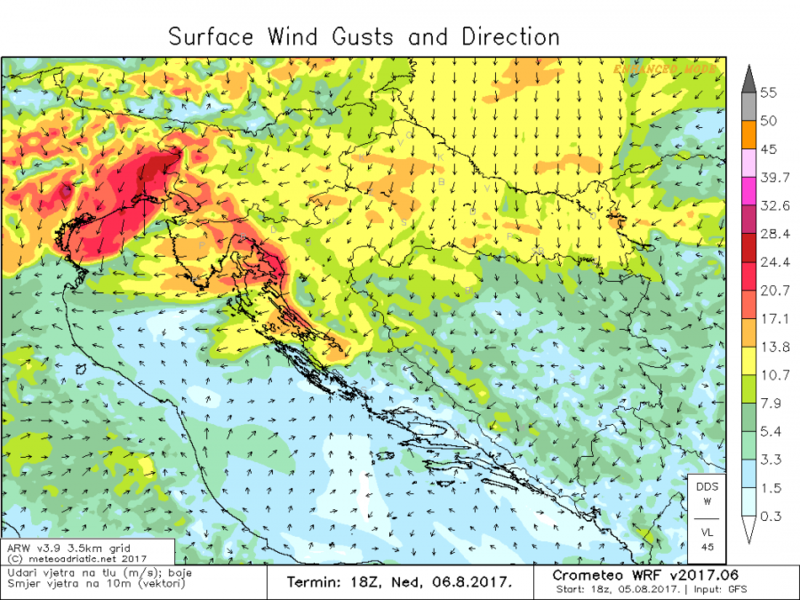 Affected areas will also include the eastern coast of the Adriatic in Italy (Trieste gulf), Slovenia and Croatia (Istra) and the western coast of the Adriatic (eastern Emilia Romagna). The timing of the event will be in the late afternoon. 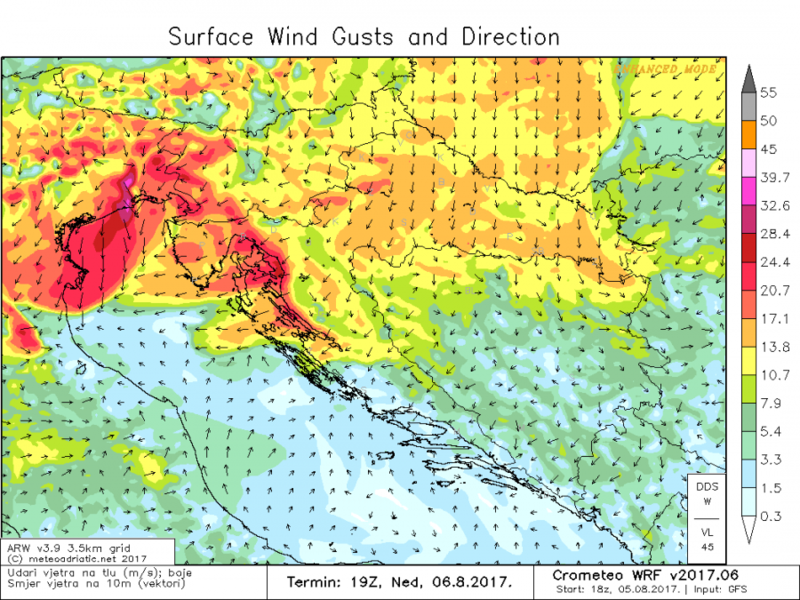 All holidaymakers in the northern Adriatic need to be aware of this event, as the Tramontana wind will have significant damage potential – precautions to avoid any airborne objects, particularly on beaches and in camps need to be taken. 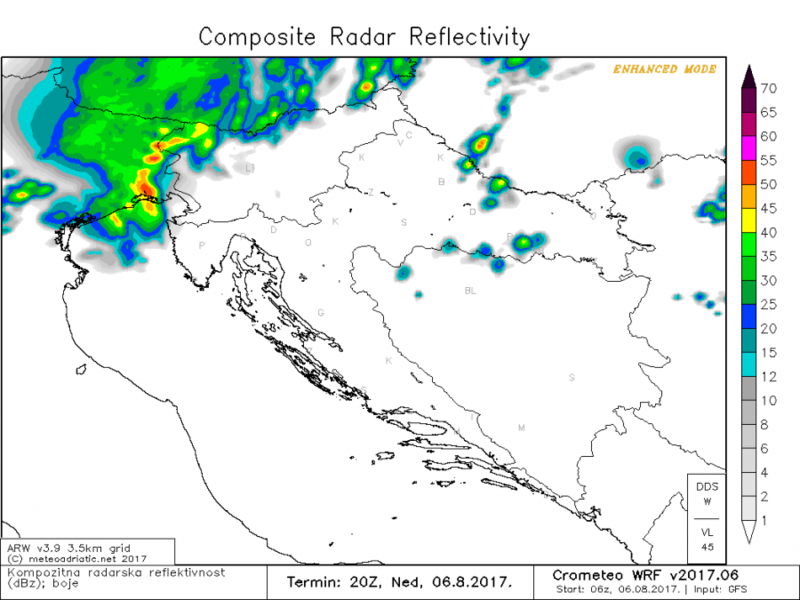 Expect widespread thunderstorms, locally severe to accompany the frontal passage. High instability will be in place ahead of the front, with high 2000-3000+ J/kg MLCAPE available. 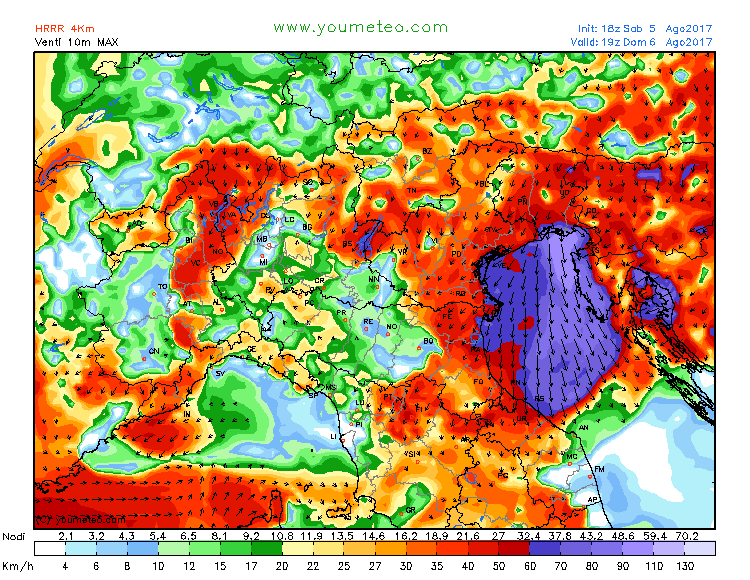 A moderately strong 30-40 kt 500 mb jetstreak will overspread the region, with strong synoptic scale lift under the passing right entrance region over northern Italy and northern Adriatic. 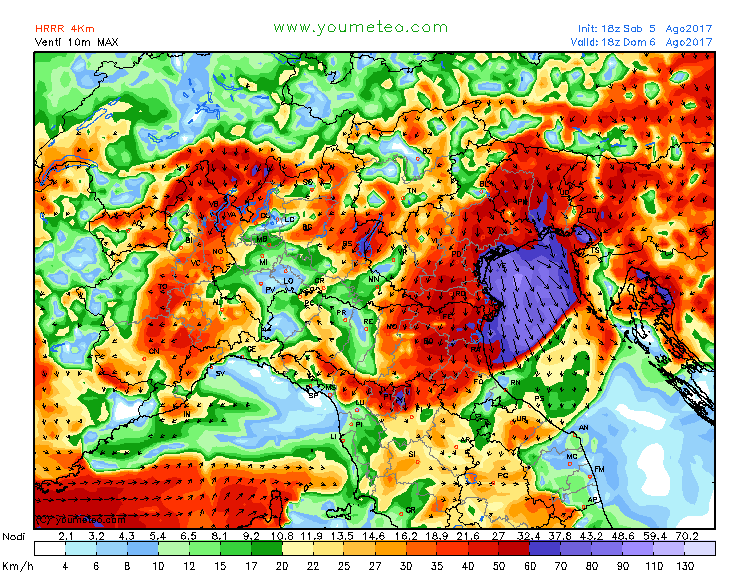 About 30-40 kt deep-layer shear will be available. Expect a squall line / QLCS advancing rapidly across the region, with embedded/discrete supercells. 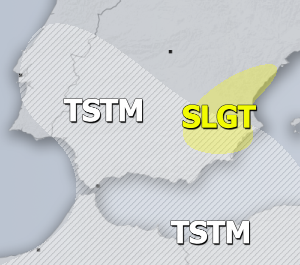 Large hail will be a threat with these storms, however, the main threat will be severe winds. 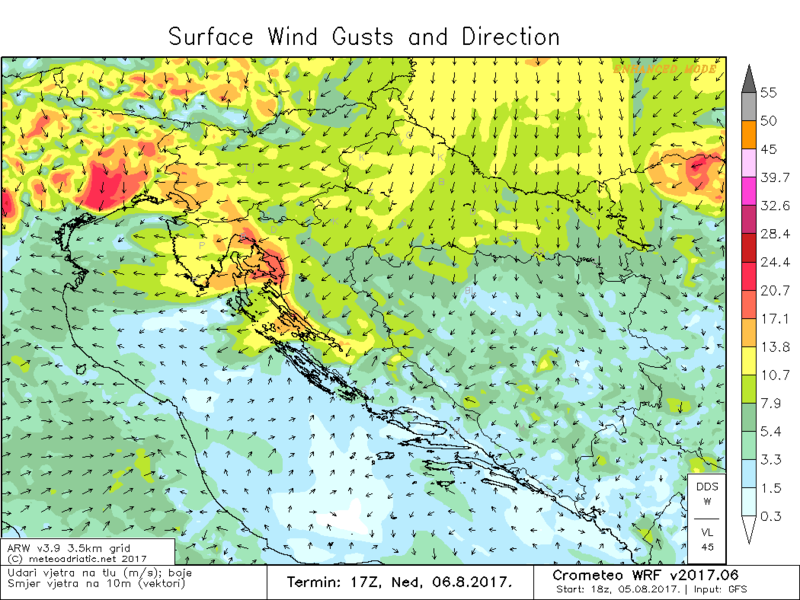 Note that after the frontal passage, also significant (but relatively brief) Bura winds will develop. 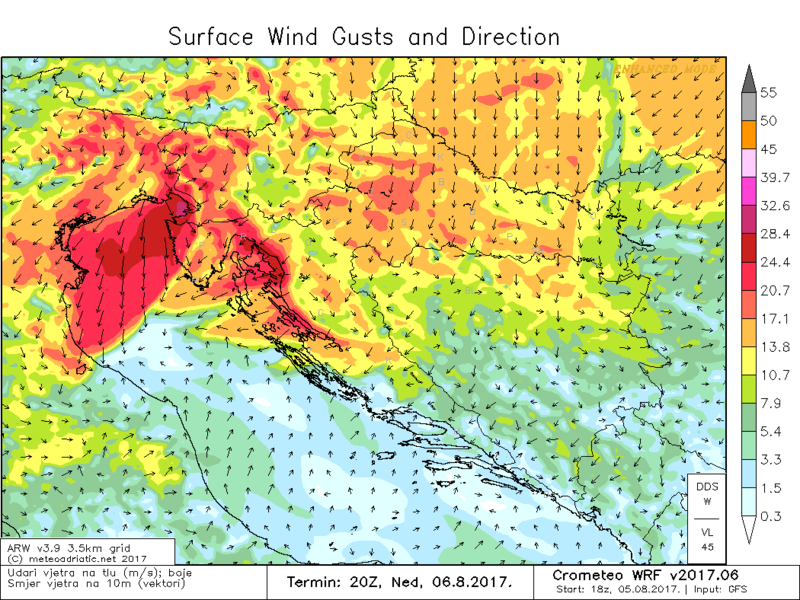 In particular in the Kvarner region (Krk and Pag Islands), the Bura will gust up to 130-150 km/h in the evening and early morning hours of Monday. 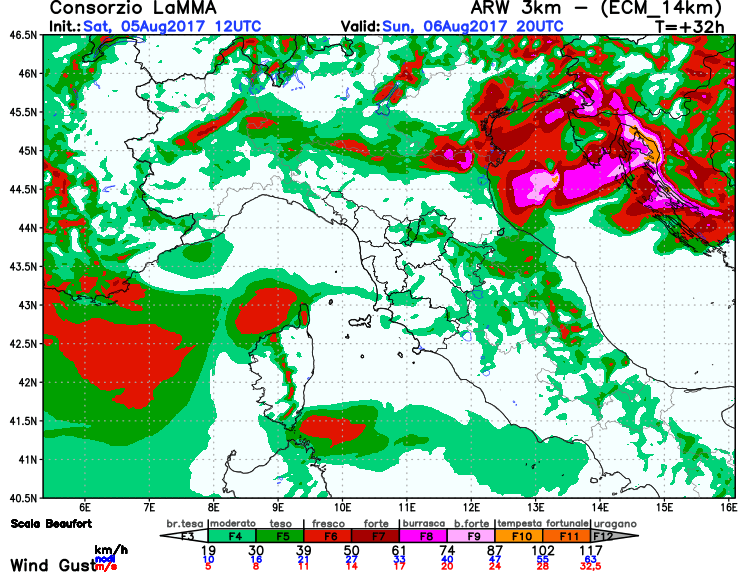 A new hefty round of Adriatic sea-effect snow for central and southern Italy!